Are you thinking about taking the leap to purchase an additional property? Turning your second home into an investment property takes time, but the return is certainly worth it. You may be wondering, why are investment properties beneficial? Not only do they produce a greater return, but once you get the hang of it, you can also do this with several homes and see the cash begin to flow. Owning a residential leasing investment property is something that millions of investors do, and so can you! Read on below for three reasons investment properties are beneficial. 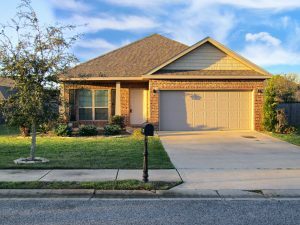 This gorgeous rental home in Fairhope, Alabama could be yours! Visit here to learn more. Despite real estate market fluctuations, the demand for rental properties never goes away. Some individuals aren’t ready to buy a house yet, and that’s where you come in. Whether your future tenant just relocated to the area and wants to rent while house-hunting or they simply prefer to lease a home, the demand for rentals will never stop growing. When you purchase a rental property, there are two ways you can manage it. One option is handling everything yourself: listings, tenant screenings, rent collection, etc. Some landlords prefer to be in control and keep up with everything on their own. Some, however, prefer to let a property management company take the reigns. Once you buy the property (and take care of any repairs), all you need to do is sign the property management agreement and let the company take over. For more information about how you can turn your property into an investment, contact us today! One of the best parts of owning a rental property is that the income will flow whether or not you’re present. This is called “passive income” – you’ll get paid each month without having to work 40+ hour weeks like a traditional job. Over time, market value increases and you’ll see a spike in income each month. This is a great way to earn some extra income, especially if you’re retired! How has owning a rental property been beneficial for you? If you’re an owner or thinking about purchasing an investment property, contact us today to learn more about our property management services.